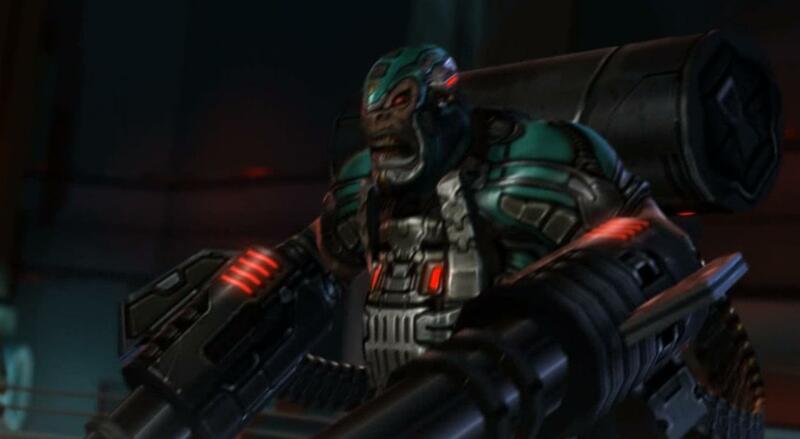 In this basic guide we are going to choose and play with Guardian faction. 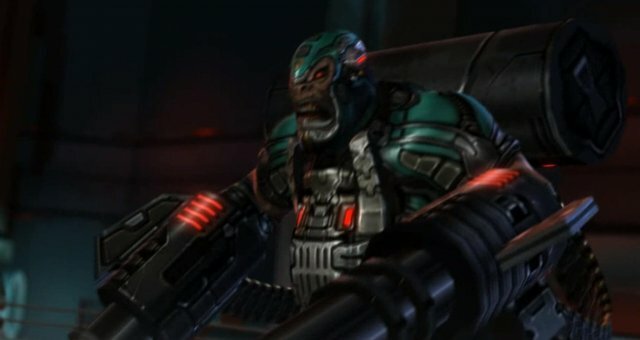 If you choose Abandon faction, all the main game features and mechanics are the same. 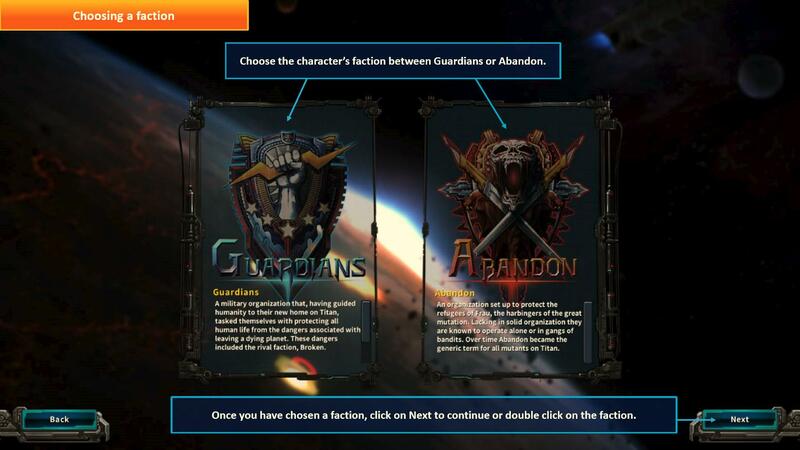 Choose the character’s faction between Guardians or Abandon. Once you have chosen a faction, click on Next to continue or double click on the faction. 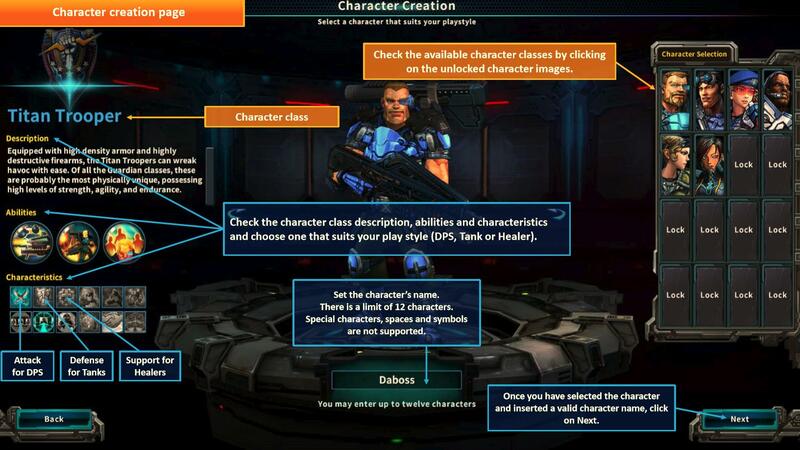 Check the available character classes by clicking on the unlocked character images. Check the character class description, abilities and characteristics and choose one that suits your play style (DPS, Tank or Healer). Set the character’s name. There is a limit of 12 characters. Special characters, spaces and symbols are not supported. Once you have selected the character and inserted a valid character name, click on Next. Thisis the character selection page. 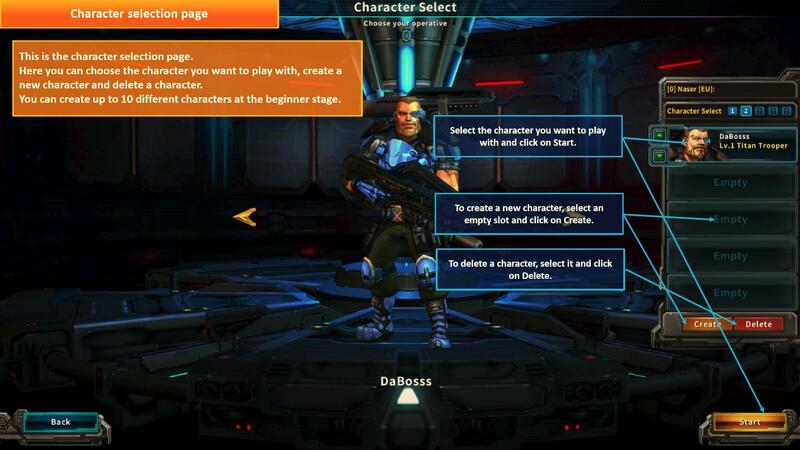 Here you can choose the character you want to play with, create a new character and delete a character. You can create up to 10 different characters at the beginner stage. Select the character you want to play with and click on Start. To create a new character, select an empty slot and click on Create. To delete a character, select it and click on Delete.